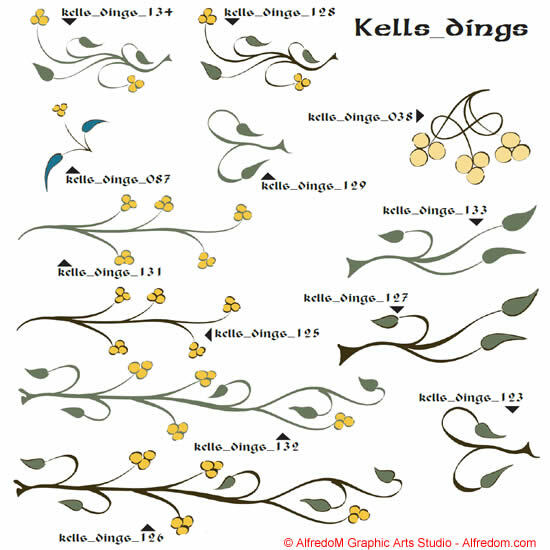 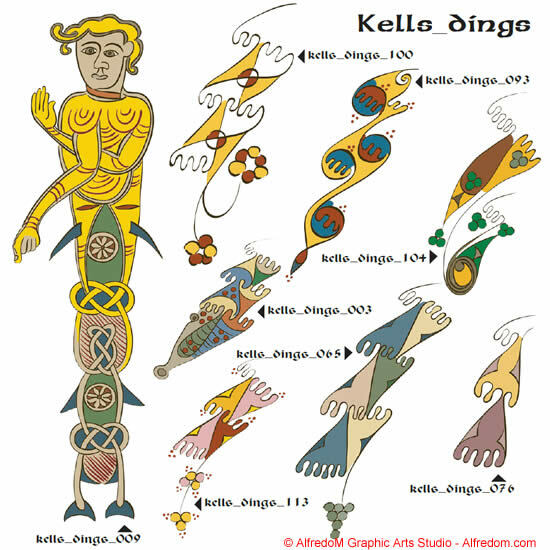 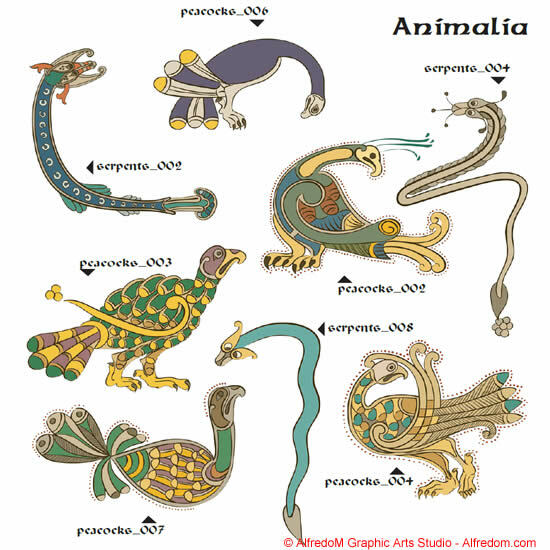 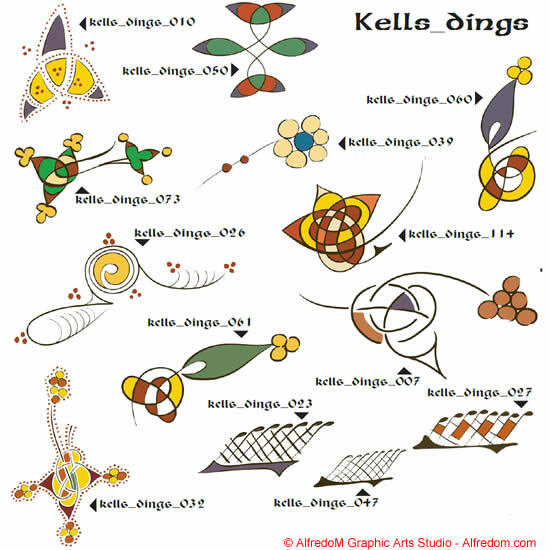 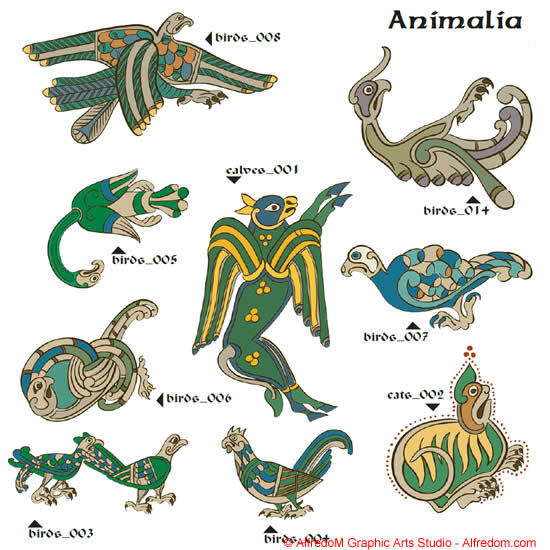 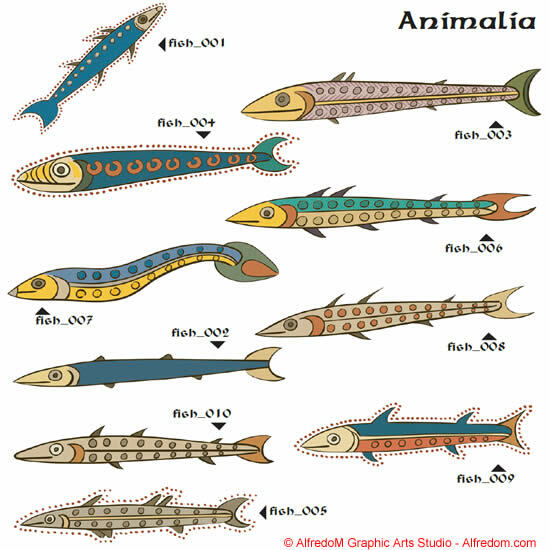 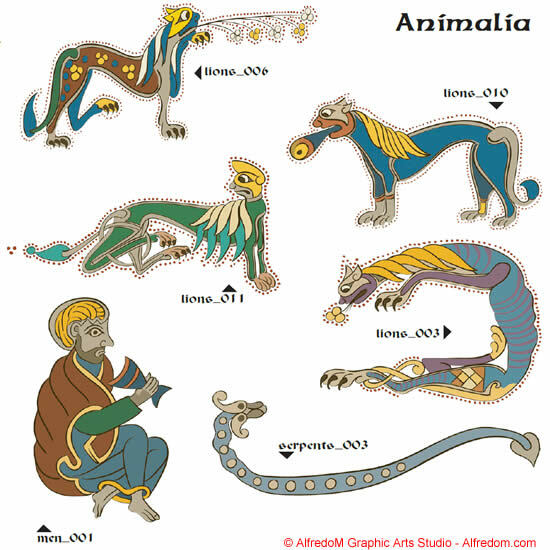 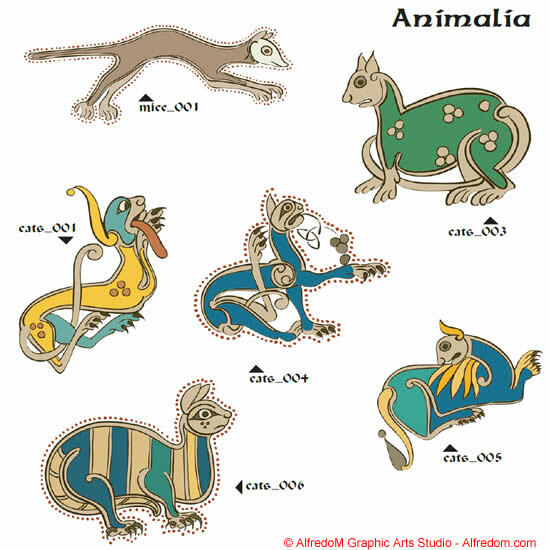 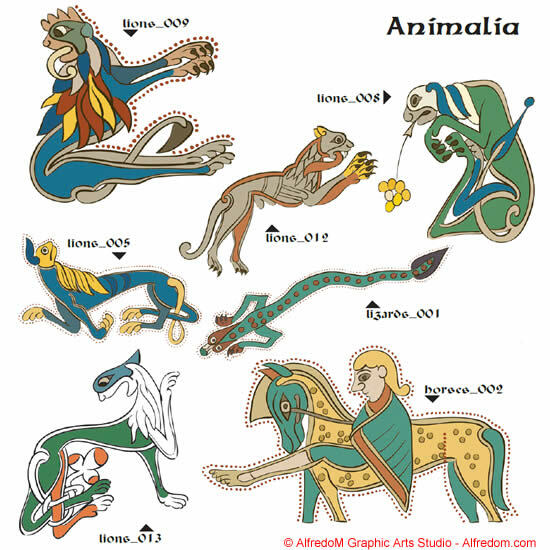 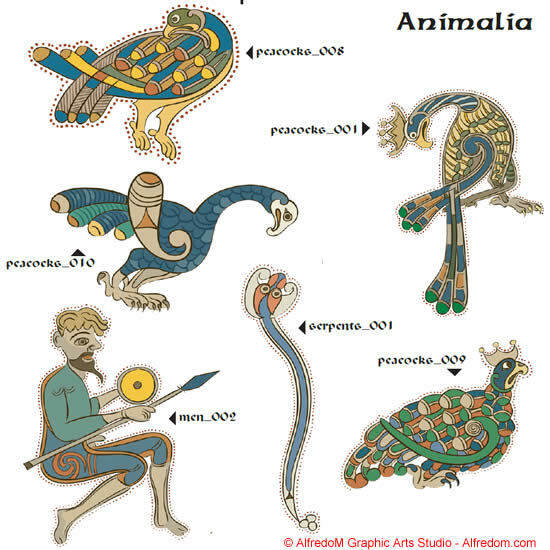 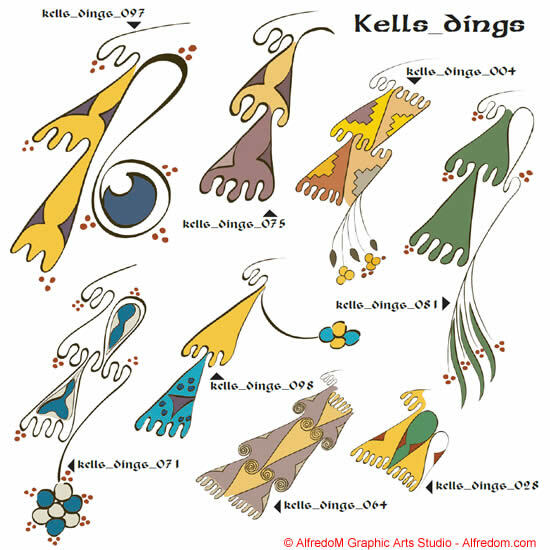 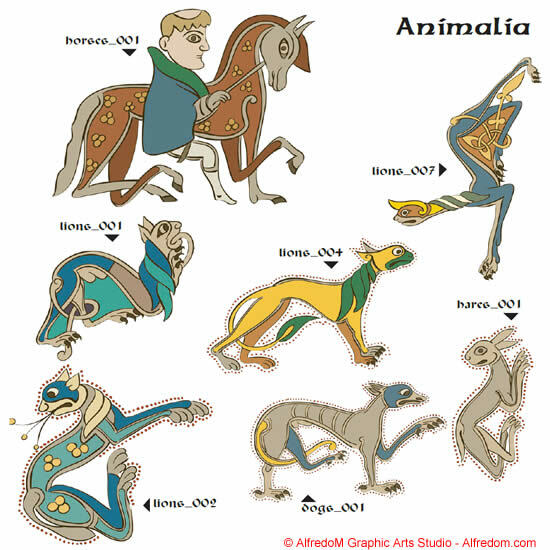 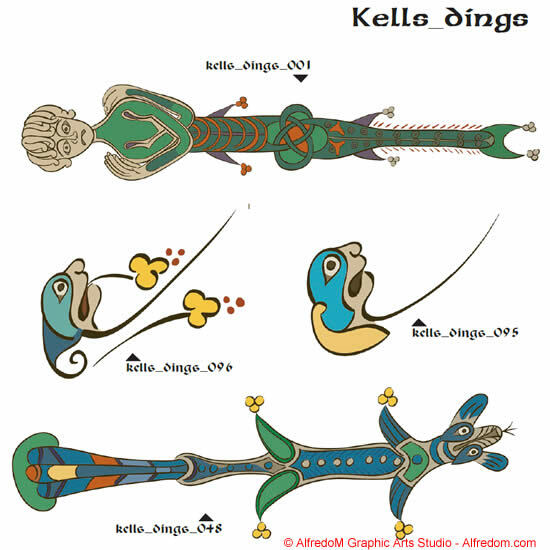 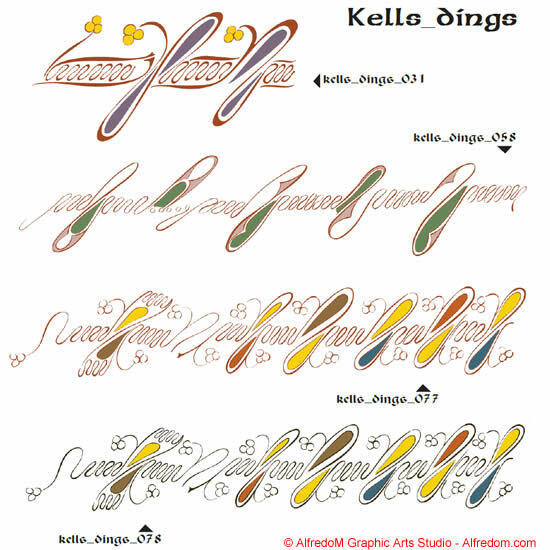 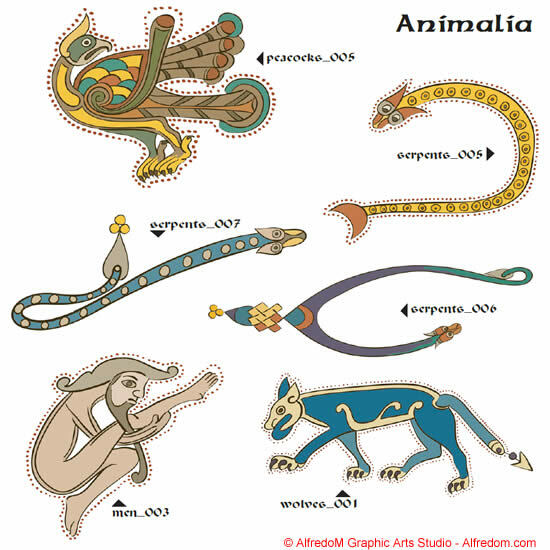 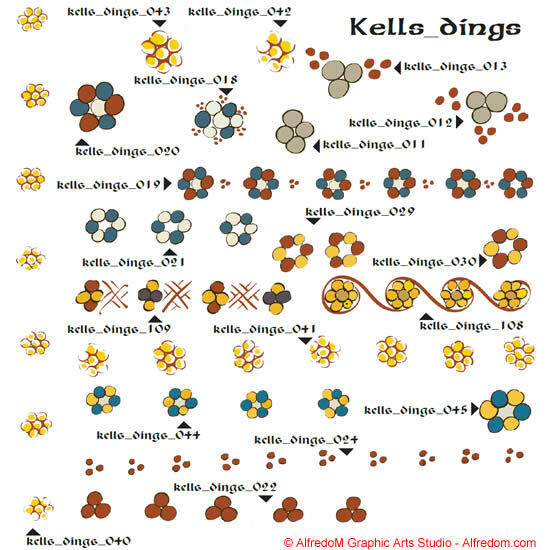 People, animalia, dingbats and punctuation from the Book of Kells. 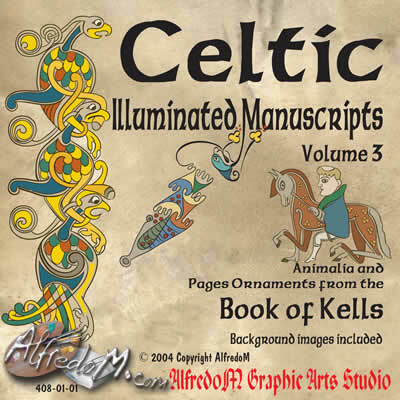 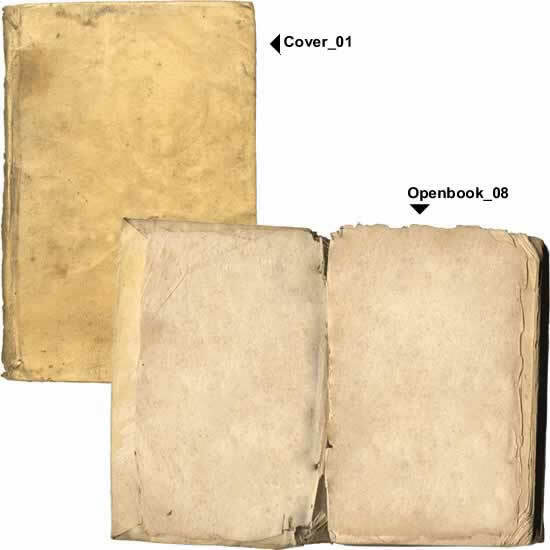 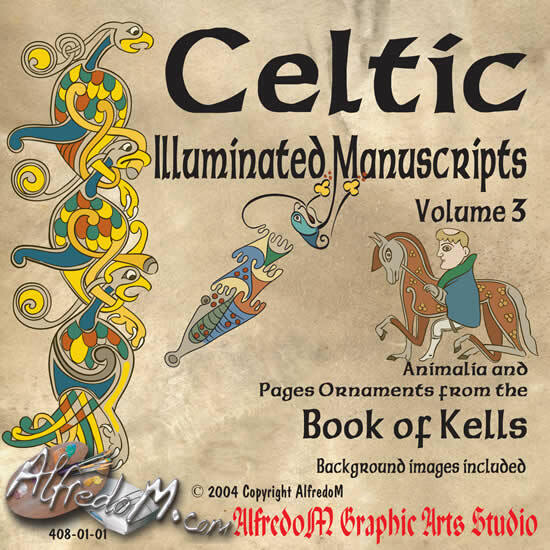 This volume is part of the Celtic Illuminated Manuscripts collection based on Book of Kells at the Trinity Library in the Trinity College in Dublin Ireland and on the Lindisfarne Gospels at the British Library in London England. 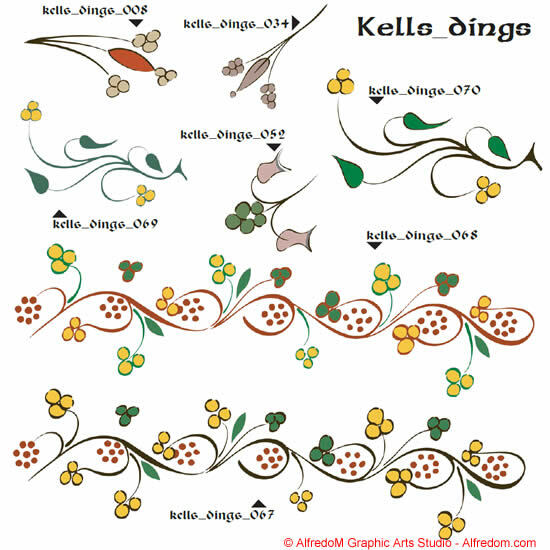 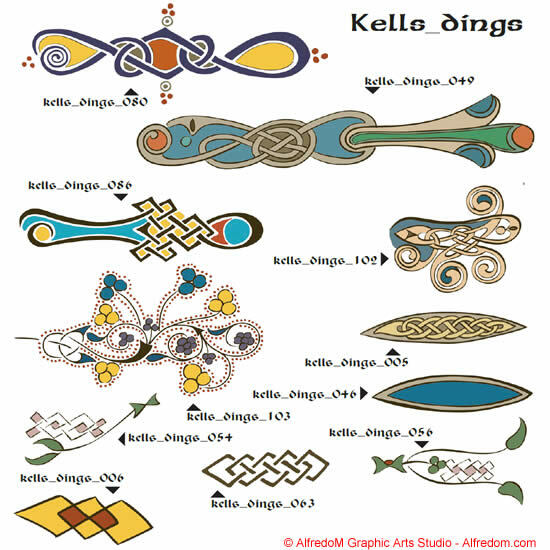 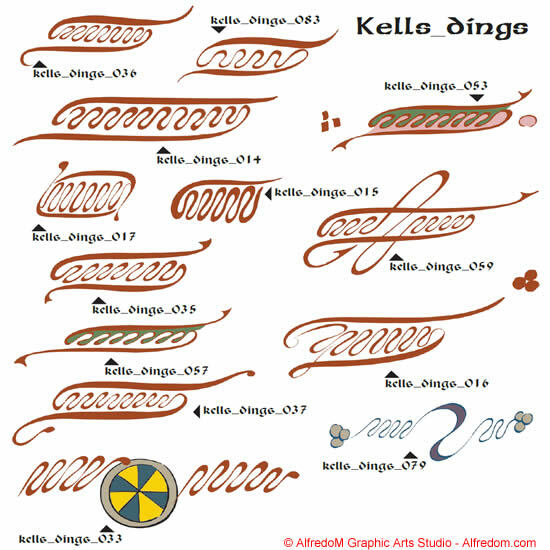 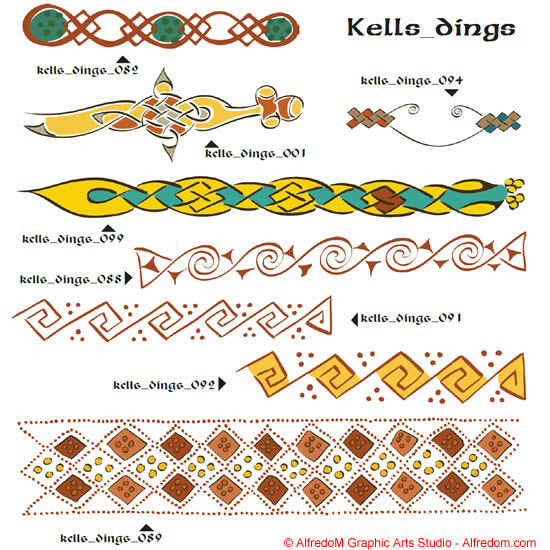 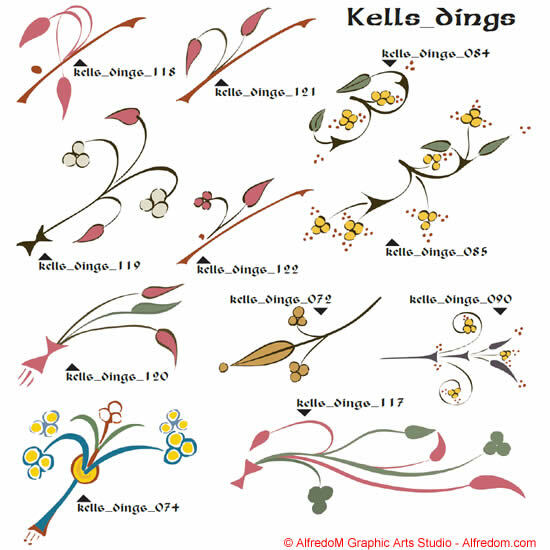 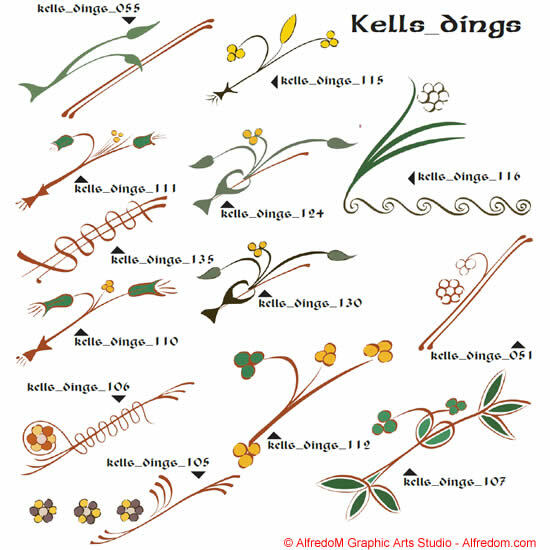 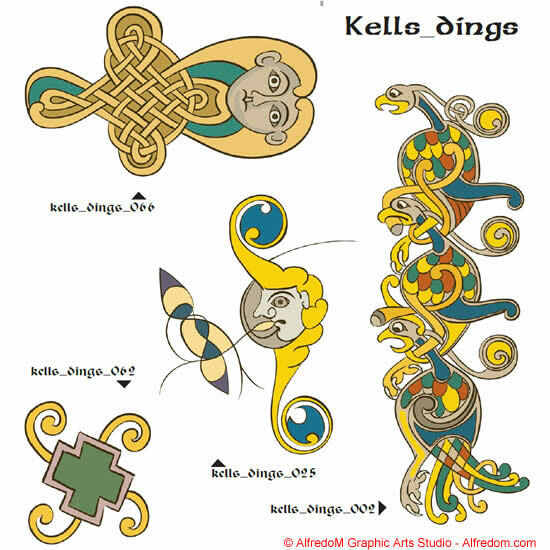 This set of hand drawn royalty free images stock images from the Celtic Illuminated Manuscripts Collection are available as instant download in EPS and WMF formats. 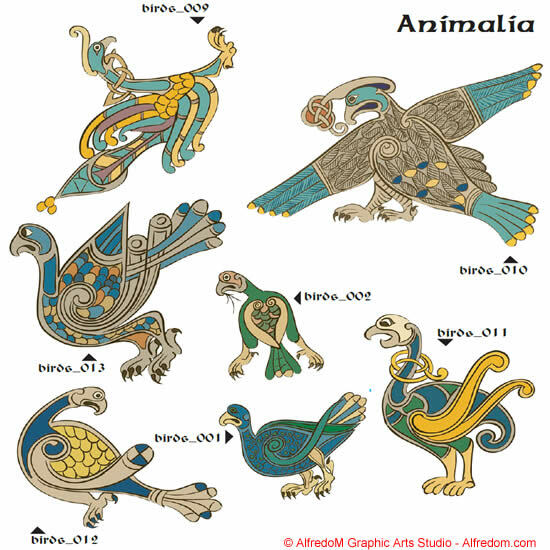 Almost all the animals and people that decorate the text pages of Book of Kells. 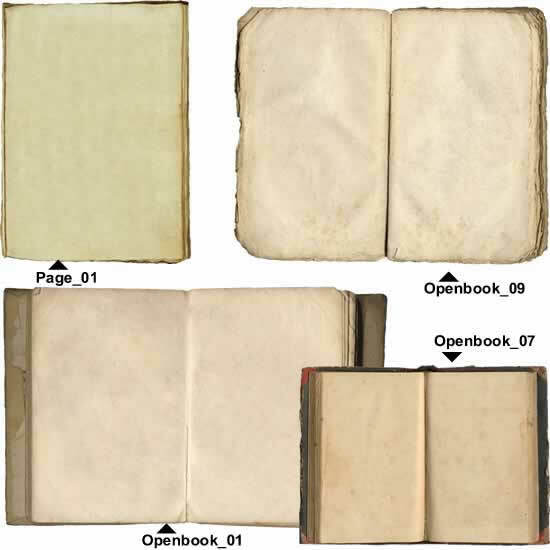 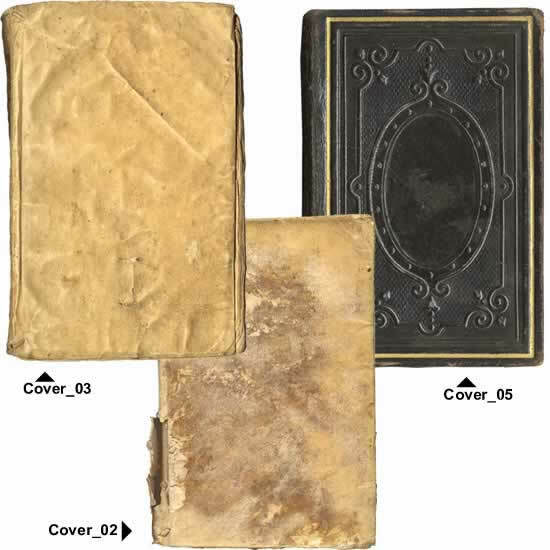 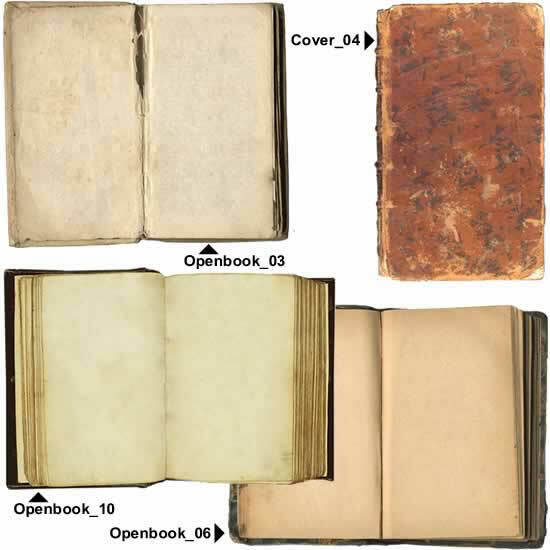 Also over 130 page decoration and punctuation elements.